If you’ve been on social media today, you’ve probably noticed there’s a lot of talk about taco trucks. Confused? It started like this. Marco Gutierrez, a Mexican immigrant and the founder of a group called Latinos for Trump, went on MSNBC Thursday night and said something had to be done about Mexican immigration to the U.S.
“My culture is a very dominant culture. And it’s imposing, and it’s causing problems. 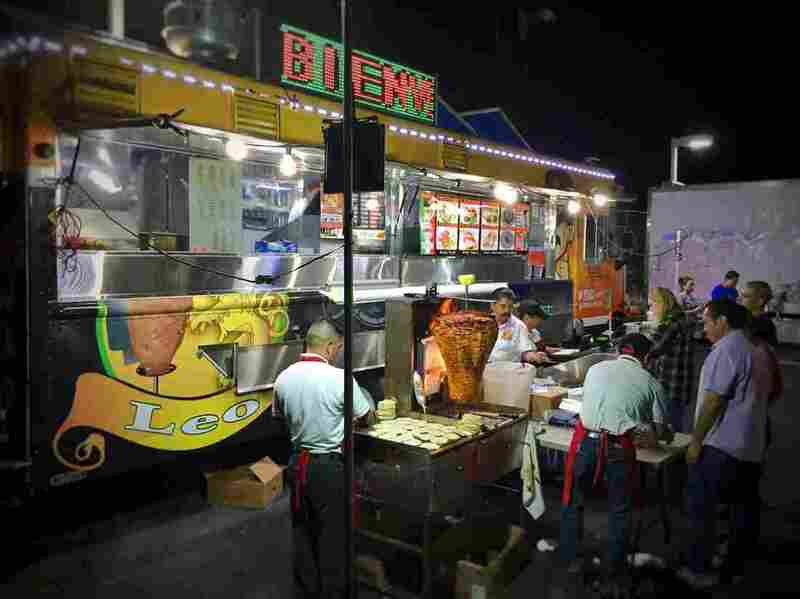 If you don’t do something about it, you’re going to have taco trucks every corner,” Gutierrez said. Almost instantly, the hashtag #TacoTrucksOnEveryCorner was born and the pile-on grew faster than a Chipotle taco bowl moving down the line. By midnight, #TacoTrucksOnEveryCorner was the number one trending topic in the U.S. If there were #TacoTrucksOnEveryCorner there’d be less crime. Unless you consider paying extra for guacamole an injustice. OK, you get the point. There are just so many good ones. But let’s get serious for a bit. I called up one of the nation’s foremost taco experts, Gustavo Arellano. He writes the OC Weekly’s syndicated column “Ask A Mexican,” and is also the author of Taco USA. He says that, as absurd as Gutierrez’s warning sounded to many people, it’s part of a long tradition of using Mexican foods as a way to scare white Americans. But Arellano says those days are mostly gone. I wanted to find out if this was true. So I took a walk to the long line of food trucks about a block from NPR headquarters in D.C. There was a fried chicken truck, an Afghan cuisine truck, and then a Mexican-Korean taco truck good enough. I tried to get one more interview, with the food truck’s owner. But he was too busy, selling tacos. When I moved from California to Calcutta in 2011 I would joke that I had merely exchanged one Cal for another. It was not technically true. Calcutta the bustling metropolis where I was born, once the First City of the British Raj, had already rechristened itself as Kolkata in 2001. The British left India in 1947 but they left behind quite a bit of baggage — starchy clubs with antiquated jacket-and-tie dress codes completely unsuitable for Indian weather, a passion for cricket and English and Anglicized names. Every city had streets and squares named after English viceroys and governor-generals: Clive, Hastings, Dalhousie. Soon the new government was busy renaming those roads and landmarks after Indian freedom fighters. Lala Lajpat Rai. Tilak, Gandhi. Nehru. A lot of Gandhis and Nehrus. Kolkata was always called Kolkata in Bengali — derived from the name of one of the three villages said to have become the modern city of Kolkata. But the British called it Calcutta. I don’t know why Calcutta rolled off British tongues more easily than Kolkata, but then I had American roommates who asked if they could call me Sandy instead of Sandip even though both names were two syllables. In 2001 the government of West Bengal decided to officially change its capitol city’s name to Kolkata to reflect its original Bengali pronunciation. It didn’t really affect us much. We were used to calling it Kolkata in Bengali and Calcutta in English, and we switched between both names with as much fluency as we switched between those two languages. Other name changes were far more loaded — Bombay to Mumbai, Madras to Chennai, for example. 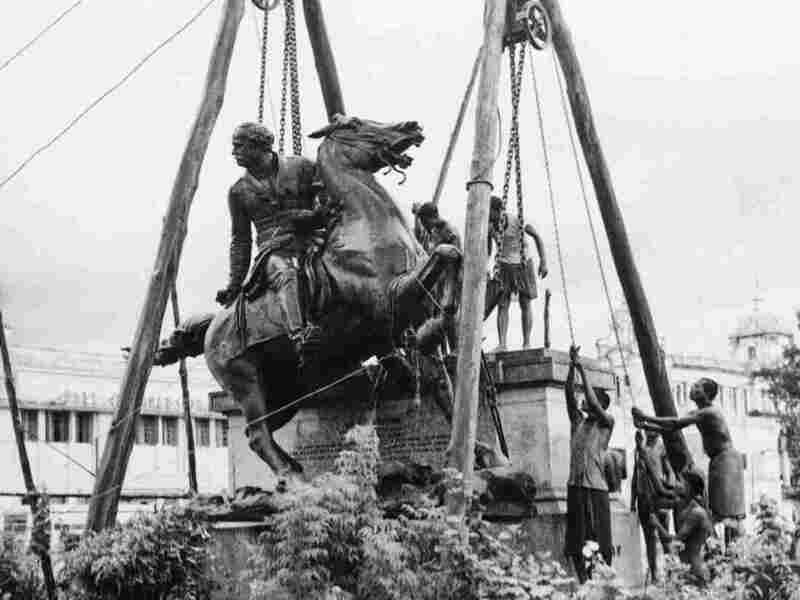 The rejection of the British styling and the return to Indian roots was seen as erasing some of the cosmopolitan pasts of those cities, of favoring one linguistic group over another, of a rising tide of parochialism where some names tried to mark the true sons of the soil from named preferred by those who came from outside, even if that outside was just another state in India. It became an ideological statement to use one name over the other, a sort of linguistic version of planting your flag in the sand. Also many Kolkatans whose names had been Anglicized retained those surnames. The Thakurs still called themselves Tagore. The Mitras who had become Mitters stayed Mitter. It was a sort of pick-and-choose Anglicism. Now an even more dramatic name change is underway. Just this August the entire state of West Bengal has decided to rechristen itself. West Bengal came alphabetically dead last in the long list of Indian states. The state’s chief minister decided to leapfrog to Number 4 by simply dropping the West. It actually made sense in practical terms. There is no East Bengal anymore. That’s long been the independent country of Bangladesh. To add to the geographical confusion of hapless tourists, we were a West Bengal located in the eastern part of India. This time, however, there was more resistance. For many the “West” in West Bengal was an emotive reminder that this state had once been partitioned by the British, that thousands had lost everything as they fled from one side to the other, as the eastern wing of Bengal became East Pakistan and eventually Bangladesh in 1971. Time has made the longing even sharper. Dropping the West seems like wiping away that whole history, pretending it never happened. The name change has gone through the state government (though the national parliament in New Delhi is yet to ratify it). Now comes the fun part. Firmly believing in the adage “the more the merrier,” the state will be called Bangla in Bengali, Bengal in English and Bangal in Hindi. That of course should mean that my home city should be called Kolkata in Bengali, Calcutta in English and Kalkutta in Hindi, but logic was never the strong point of governments. In the toxic fight over naming states, it’s almost welcome that the new state of Bangla is open to different strokes from different folks. Bangla also happens to be the word for the local country liquor in these parts. Perhaps that’s the secret to its nonchalance about its name. Bangla, Bengal, Bangal — it does not matter as long as it’s not last call at the bar. NPR’s Ari Shapiro speaks with Michael Goto, manager of the United Fishing Agency and a member of the Hawaii Longline Association, about how the expansion of the Papahanaumokuakea National Monument will affect his business and the economy of Hawaii. The Zika outbreak is spreading to Southeast Asia. More than 150 people have contracted the virus in Singapore. NPR’s Ari Shapiro talks with Georgetown University President John DeGioia and Patricia Bayonne-Johnson, a descendent of two slaves the school sold in 1838, about their meeting on the university’s legacy related to slavery. Roger Ailes ran Fox News by projecting power rather than trustworthiness. NPR takes a renewed look at the network in light of this summer’s revelations. 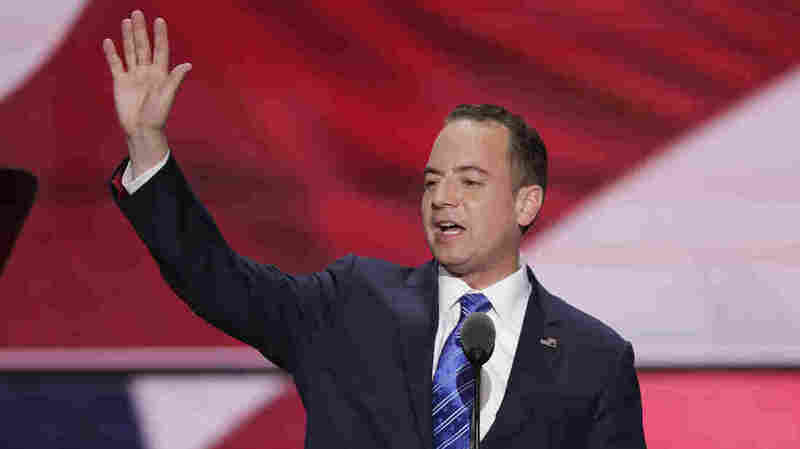 With less than 70 days to go before Election Day, the Republican National Committee announced it is making significant strides when it comes to competing in battleground states in the fall. That still falls far short of the ground game already in place by Democratic nominee Hillary Clinton. On Friday, the RNC announced 392 additional staffers and 98 new offices across 11 battleground states. The new staff and field offices will be added to Colorado, Florida, Iowa, Michigan, Nevada, New Hampshire, North Carolina, Ohio, Pennsylvania, Virginia and Wisconsin. Donald Trump, the Republican nominee, has leveraged his celebrity and unorthodox campaign style to gain a tremendous amount so-called “free media” throughout his campaign. But he’s also had to heavily rely on the RNC to build an on-the-ground campaign infrastructure — opening campaign offices, hiring staff and volunteers — things campaigns traditionally to do much of on their own. “The contrast is a test for the conventional campaign model and points to the candidates’ stark differences in methods. Clinton is cleaving to the data-driven, on-the-ground machine that won two elections for Barack Obama. Trump, on the other hand, insists he does not need traditional campaign tactics to win the election, pointing to his overwhelming nomination victory achieved with a relatively small team and little spending. Trump defended his campaign’s infrastructure, tweeting Friday that people shouldn’t doubt the strength of his ground game. People will be very surprised by our ground game on Nov. 8. We have an army of volunteers and people with GREAT SPIRIT! They want to #MAGA! A hospital in Afghanistan paid for by the U.S. is poorly built, years late and might be too expensive for the Afghan government to run on its own in the long-term. The findings are detailed in the latest report, published Friday, by the Special Inspector General for Afghanistan Reconstruction, or SIGAR, a military agency set up by Congress to audit U.S. spending in the country. SIGAR has periodically released reports on the Gardez Hospital, which serves Paktia province in eastern Afghanistan. It’s a mountainous area that has frequently been a front line in the fighting between the Taliban and U.S. and Afghan forces. Just this month, the Taliban reportedly seized a district about 35 miles east of Gardez. The hospital is not a military project — it was built to treat civilians. Construction began in 2008 as part of a three-year contract between the U.S. Agency for International Development and the International Organization for Migration, which would handle hiring the contractors. 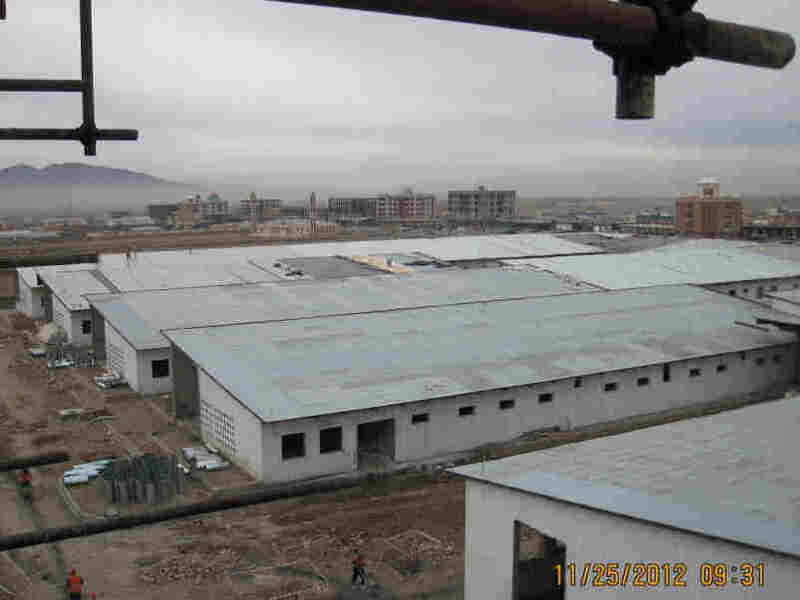 It was supposed to be finished and handed over to the Afghan ministry of health by November 2011. But that didn’t happen. Right from the get-go, the completion date was pushed back — first to June 2013, in a contract with an Afghan building contractor. In October of that year, SIGAR found that the IOM had overpaid the contractor by at least $507,000 for diesel fuel and a thermostat device. The IOM eventually repaid the money to USAID. Then, when the work wasn’t done on time, the contractor was fired. A new contractor, another Afghan construction firm, was supposed to finish the hospital by April 2014. By that summer, however, the hospital still wasn’t finished. It took another year and a half for the hospital to be completed enough to hand over to Afghan authorities. USAID formally shifted control of the hospital in March 2016, nearly five years late, saying it was mostly finished and with only minor repairs left to do. The almost-done hospital has cost the U.S. $14.6 million. An inspection of the hospital by SIGAR auditors last year found 42 construction deficiencies. Despite millions of dollars and years of work, parts of the roof were leaking or contained standing water. Doors were missing handles, one of the water towers was leaking, and the hospital had not been reinforced to withstand earthquakes. The hospital is built on the active Chaman fault. Fire alarms were missing in some parts of the hospital, and if there was a fire, there was no emergency lighting. Some exit signs pointed the wrong direction. Today’s report finds 13 of the 42 deficiencies have been fully addressed. SIGAR has not sent inspectors back to the hospital since March 2015 — saying it is too dangerous. The IOM says it has fixed cracks in the building, repaired peeling paint, that the water tower no longer leaks and the exit signs now point toward exits. It still has to fix the leaky roof. But they disagree with the inspector general’s assessment of the fire precaution system, saying there is no need to upgrade the fire system to include emergency lighting or sprinklers, or to brace hospital equipment in case an earthquake happens. The hospital is a large facility — 100 beds and multiple wings, including separate wards for men and women having surgery, an emergency ward, a pharmacy, a laboratory and a rehabilitation ward. It has its own deep water well, two diesel generators for electricity and a wastewater treatment plant on site. There used to be a 70-bed hospital in Gardez. USAID and SIGAR agree that the new facility can provide more complete and advanced medical care to the people who rely on it. But the inspector general notes that, though it has only 30 more beds, the hospital will cost the Afghan government almost four times as much to operate. The old hospital cost $600,000 per year; the Afghan government estimates the new one will cost $2.3 million, in part because of the more sophisticated medical equipment and the cost of powering it with diesel generators. “It is unclear what steps USAID took to determine whether the ministry [of health] had the ability to operate this facility,” the audit’s conclusion reads. Foley of USAID tells NPR that the Afghan ministry of health “intends to fully fund” Gardez Hospital and is trying to connect the hospital to the electrical grid so that it is not dependent on diesel. “They have developed a plan to run the hospital with funding from the Government of Afghanistan and the World Bank,” he writes. The SIGAR report also calls on USAID to finally finish the hospital, noting that while the Americans have handed it over to the Afghan government, most of the construction deficiencies identified in 2015 have not been fixed. “The number of deficiencies resulting from poor workmanship raises questions about the quality of project oversight,” the report concludes. Every day, thousands of teens attempt suicide in the U.S. — the most extreme outcome for the millions of children in this country who struggle with mental health issues. As we’ve reported all week, schools play a key role, along with parents and medical professionals, in identifying children who may be at risk of suicide. And one of the biggest challenges: Myths that can cloud their judgment. Jobes says one of the most common — and most dangerous — myths about suicide is that young children just don’t kill themselves. Children as young as 5 take their own lives every year. Another myth? Suicides are an impulsive decision, made in the heat of the moment. Jobes says kids can spend weeks thinking about and planning for their own deaths. And that, he says, is where schools have a role to play. “They’re going to be letting their friends know, dropping hints, writing essays that their English teacher might pick up, telling coaches,” Jobes says. 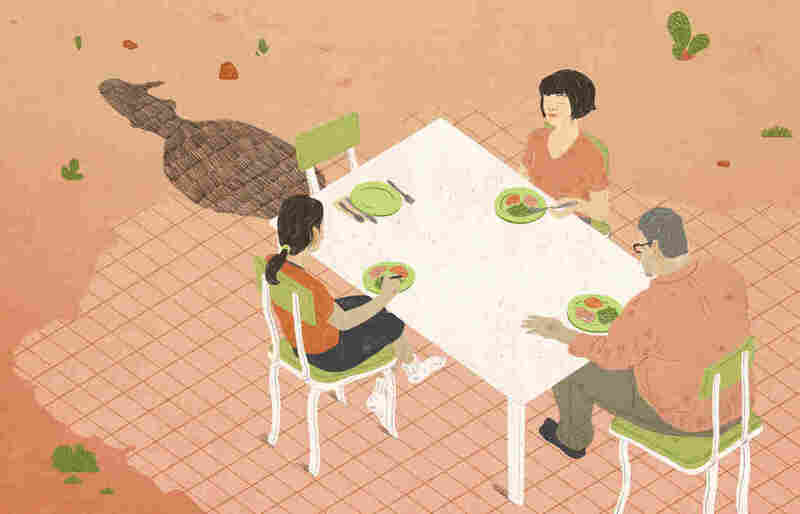 One thing teens considering suicide won’t do is tell their parents. We asked Jobes to walk us through a few other common misperceptions of suicide. Myth 1: Asking someone about suicide will cause them to become suicidal. Myth 2: Depression causes all suicides. “That’s just not true. So, we have millions of Americans who are depressed. A small fraction of them take their lives, a very small fraction. So depression and suicide are not synonymous. Myth 3: We cannot really prevent suicides. “We know very clearly that, with proper identification, proper support and treatments that are suicide-specific, we absolutely can make a difference and save lives. Most suicidal people who talk about suicide don’t really want to be dead. They’re giving other people lots of indications, lots of warning signs, lots of communications that this is something that they would like to not do, but it requires people identifying that and getting them the proper help. Myth 4: Suicides always happen in an impulsive moment. “People contemplate, think about it, imagine it, fantasize about it, write suicide notes, post things on the web. After many days or weeks, [they] then perhaps make a fatal attempt. There is a major theory in the field that says that no suicides are impulsive. That there is always a history if you dig deep enough. “The idea that they come out of the blue may happen, but it’s actually quite rare. A small number of people, especially among adolescents or school kids, are not going to communicate their intent. But that’s the exception. They’re going to be mostly letting their friends know, dropping hints, writing essays that their English teacher might pick up, telling teachers and coaches. So when people say this, they’re not crying wolf. It’s something to take seriously. Myth 5: Young children, ages 5 through 12, cannot be suicidal. “Young children do take their lives. In the United States each year, about 30 to 35 children under the age of 12 take their own lives. “It’s hard for a lot of us to imagine that a child that young — a 5, 6, 7-year-old — could actually know what it means to say, ‘I want to kill myself.’ But we do research with young children and know that kids are saying these words. Myth 6: When there has been a suicide, having a school assembly seems like a good idea. “There’s literature and a professional take on all this that in postvention, which is intervening after a suicide has occurred in a school, you want to find a response that is not overreacting, which would cause other kids to copycat or to follow that behavior. “Alternatively, you don’t want to under-react. And so there is a very useful literature out there, professional associations that provide guidelines where we try to find that sweet spot of attending to the fact that this happened, providing necessary information and then resources, but not letting the whole school out to go to the funeral. Or not having an assembly where everybody comes to hear from an expert about suicide. “We really want to have these conversations in smaller groups, especially among those kids who were most affected by the suicide. So, just a wholesale didactic event is not necessarily in the school’s best interest. And not necessarily the best way to prevent copycat suicides or additional suicides. “The American Foundation for Suicide Prevention does have very useful guidelines that are specific to schools. The American Association of Suicidology has also had a task force. There is extensive literature that is accessed through those organizations about what is optimal, school-based postvention. “We certainly know that children and adolescents are heavily influenced, especially teenagers, by their peers. And that’s developmentally normal. So one of the things that we do worry about with kids is the idea of copycat effects, or modeling effects. That a child in a school system who may seem sort of invisible takes their life and then suddenly everybody is abuzz about this horrific event. “For other kids who look at that, they might say, ‘Wow, that’s something I could do, too.’ And that’s the nature of the suicidal mind in a child — to not really think about this in a rational way. And that’s where modeling effects are especially worrisome. And then we, of course, worry about clusters or contagion effects. And there is an extensive literature on how to manage that modeling effect so that there aren’t additional suicides to add on top of what is a tragic event in most school systems. “High school guidance counselors are mostly focused on getting kids into college or getting them registered for courses. They don’t typically, in fact rarely do they have a mental health background. So, when a suicide does occur, a lot of these counselors are naturally approached assuming that they have a mental health background, and they don’t. Hillary Clinton told FBI investigators no one at the State Department raised concerns with her about using private email servers to conduct government business during her time as secretary of state. Clinton repeatedly told investigators she relied on seasoned professionals at the department to ensure that classified information was handled properly. And she insisted her use of the private server was for convenience, not an attempt to evade Freedom of Information Act requests or government record-keeping laws. 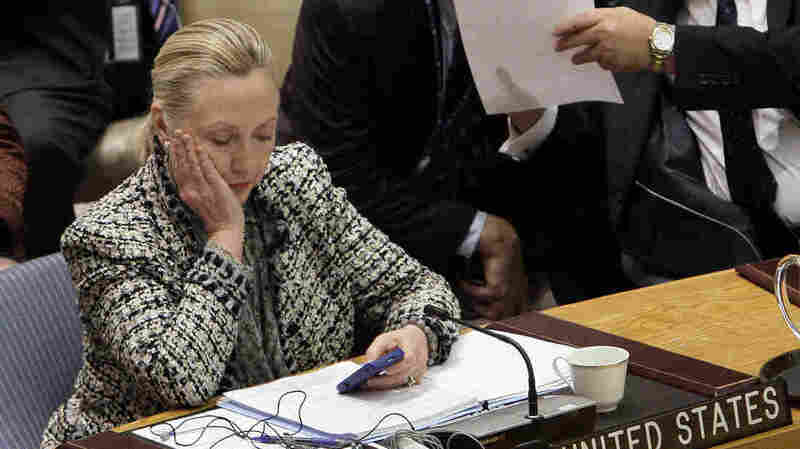 The bureau investigated Clinton’s server use to determine whether classified information was illegally stored or distributed, and for any sign that hackers might have accessed information without authorization. The notes and investigative report made public Friday offer a glimpse into the yearlong probe that led up that recommendation. Clinton’s interview, conducted at the J. Edgar Hoover Building in Washington, was one of the last steps in that process. The interview notes, which are partially redacted, suggest some warnings were raised over Clinton’s reliance on private servers, but they didn’t reach the former secretary herself. “CLINTON was not aware of State employee (redacted) expressing concerns CLINTON’s email server was not compliant with the FRA,” or Federal Records Act, the notes read. FBI agents identified 52 email chains containing classified information that were improperly transmitted to Clinton’s unsecured server. During her interview, Clinton was shown some of those emails, but typically did not recall the details. Clinton was asked during the interview about an email from former Secretary of State Colin Powell, who also relied on a personal email account while in office. “This email did not factor into her decision to use a personal email account,” the FBI notes say. “CLINTON never deleted, nor did she instruct anyone to delete, her email to avoid complying with the Federal Records Act, FOIA, or State or FBI requests for information,” the interview notes say. Details of the FBI probe did little to mollify Clinton’s critics, including Republican House Speaker Paul Ryan.